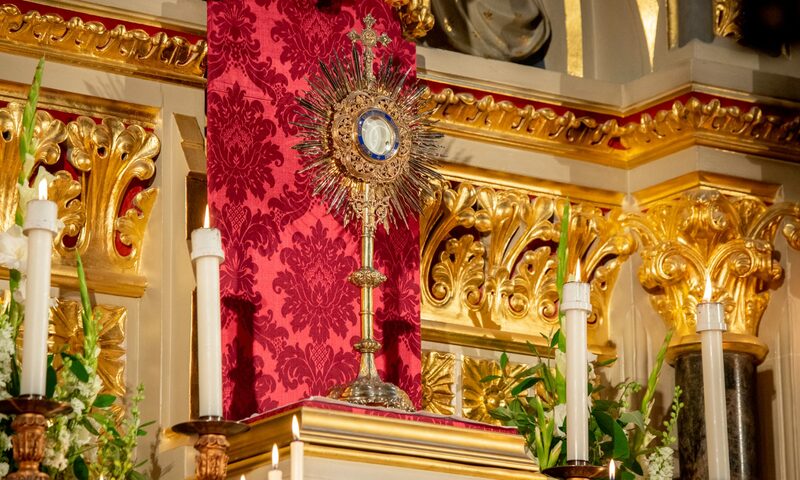 Corpus Christi is the home of the Sodality of the Blessed Sacrament. The Sodality was founded as a means of providing a global community of people offering their prayers to Jesus, truly present in the Blessed Sacrament and making acts of reparation for the sins that have been committed against the most Holy Eucharist during the Reformation and since. The Sodality is open to all, regardless of age or location, and meets once a month for Mass, Adoration and Benediction. To find out more about the Sodality of the Blessed Sacrament or to become a member, visit their website here.